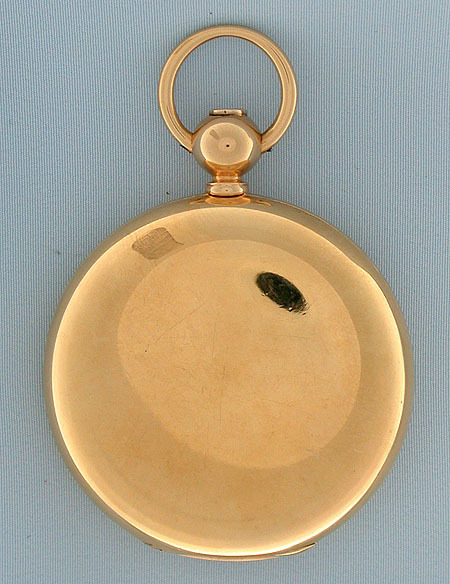 Fine and extremely heavy 18K gold Howard Type III antique hunting case pocket watch circa 1867. 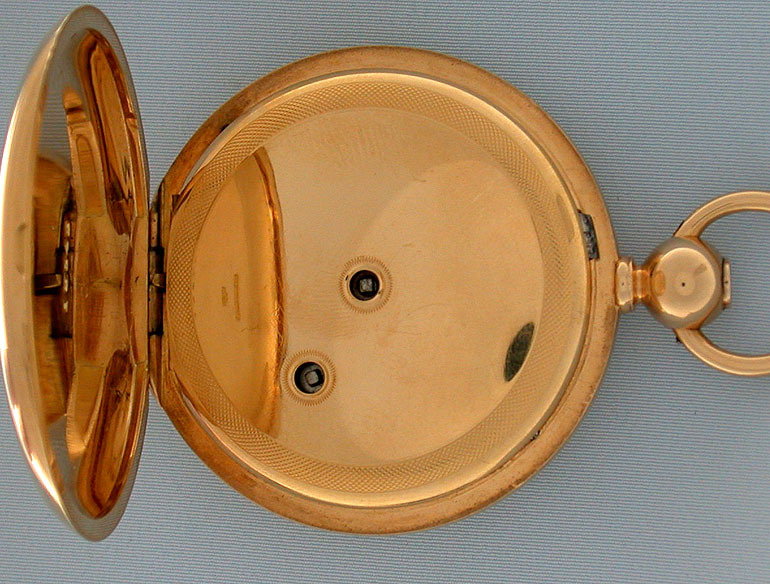 Massive original double spring hinged C & F case. Approximate net weight 80 dwt. 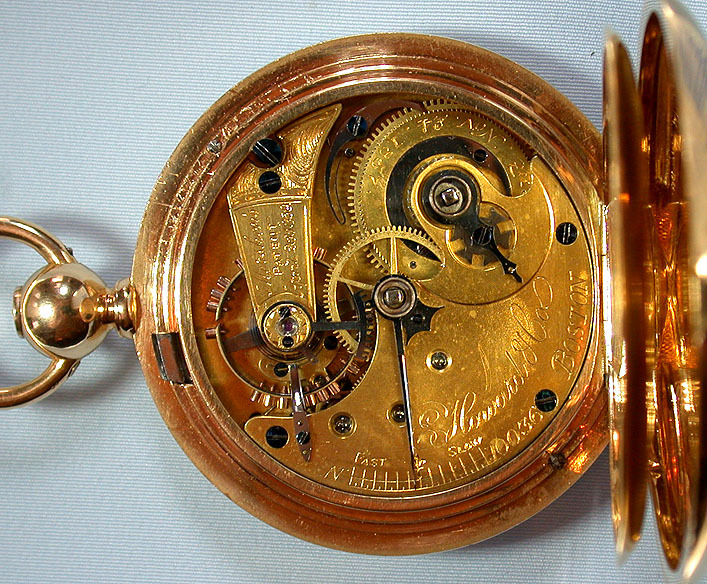 Gilt half-plate 15 jewel movement with Mershon's Patent Regulator. The gilding is in particularly fine condition. 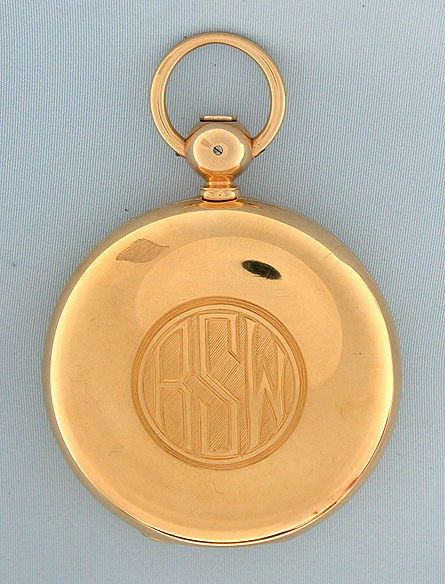 Fine white enamel dial with black numerals and blued steel hands. A wonderful example in particularly fine condition throughout. 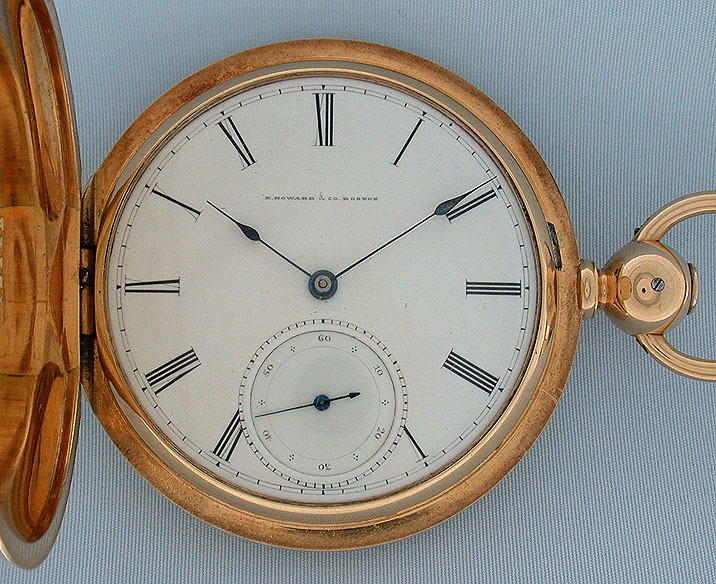 These early Howards are some of the most interesting and attractive early American watches.